A great part of a website’s success can be attributed to its type of web hosting. With the right hosting package, you’ll be able to maximize the resources available in order to fully promote the website online. The increasing demand for web host companies has paved the way for others to find another way to make money and that is through reseller hosting. As the term implies, reseller web hosting is a type of hosting service where a user avails of a web host package and “resells” it to other consumers. The setup often involves large scale companies that sign up with hosting providers and they will lease these services to the smaller ones. People engage in the reselling business finds it as an effective way to earn money online and because of this a lot of people have become more interested in learning how reseller web hosting works and how they too can become resellers and start earning money. The first step is market research. Do not jump the gun easily; educate yourself about web hosting and understand its different aspects. Search for web host providers and the type of packages that they offer along with its features and pricing. Compare rates from various companies and determine the ones that are profitable. There are also companies that offer discounted rates for resellers, inquire about these offers and use them to formulate the packages that you’ll offer for reselling. 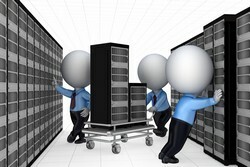 Marketing and promotion also play a factor on the success of a hosting reseller. After coming up with the services to offer to prospective clients, make sure to have a marketing strategy that will prompt clients to sign up. It has to have a competitive edge over other resellers; what can make it a standout among the rest of resellers that might offer the same type of hosting packages? Customer service, quality of service and performance are some of the things that you’ll need to focus and improve on a constant basis. Know the demands of the market and make the effort to accommodate them. Individuals and companies looking for web host providers often have a set of criteria that will help them determine the right one for their business. Disk space and bandwidth are two important aspects that customers consider in finding a good provider. If you can provide customers with a good amount of disk space and bandwidth to clients that will allow them to keep their site up and running all the time, this will make them satisfied with your services and establish a good working relationship with them. Not only will this enable your business to retain current clients but also attract new ones to sign up for a web hosting plan.